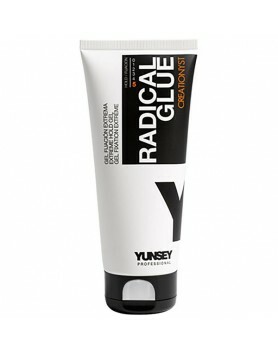 Yunsey Creationyst Alive Root is a root volumizer that provides texture while leaving the hair clean..
Yunsey Creationyst Magnify Curls is a curl activator.Yunsey Creationyst Magnify Curls is a light spr..
Yunsey Creationyst Radical Glue is an extreme hold gel to create structured shapes and extreme looks..
Yunsey Creationyst Relax Hair is a temporary straightening fluid for all types of hair. 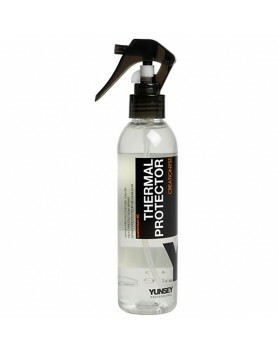 Eliminates f..
Yunsey Creationyst Thermal Protector protects the hair from heat when styling. Yunsey Creationyst Th..
Yunsey Creationyst Total Fix is an ultra-strong fixing gel which provides the hairstyle with texture..
Yunsey Creationyst Wet Gel is a light hold gel designed to achieve a wet look. 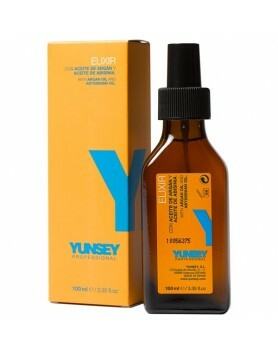 Yunsey Creationyst We..
Yunsey Vigorance No Frizz Anti-Frizz Mask restores the hair’s balance, softness and brightness, whil..
Yunsey Vigorance No Frizz Anti-Frizz Serum is an enriched serum which provides the hair with softnes..
Yunsey Vigorance No Frizz Anti-Frizz Shampoo is s shampoo that defines the hair and controls frizz, ..
A product formulated with a mixture of oils and active ingredients which improve the appearance of t..
Yunsey Vigorance Colorful Color Protection Mask conditions hair while protecting color.A mask which ..
Yunsey Vigorance Colorful Color Protection Shampoo balances the pH of the hair and aligns the cuticl..
Yunsey Vigorance Colorful Colored Hair Reconstructor seals and repairs hair fibers.Yunsey Vigorance ..
Yunsey Vigorance Repair Damaged Hair Reconstructor seals and repairs the hair fiber, imparting great..
Yunsey Vigorance Repair Moisturizing Conditioner is for normal to dry hair. 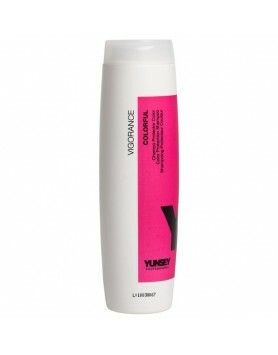 It contains plant extrac..
Yunsey Vigorance Repair Moisturizing Shampoo returns hair to it's optimum state of hydration.Yunsey ..